Q. Your King is going to Moscow. As far as we can see, Saudi Arabia has changed a lot. Do you think this could reflect on the upcoming talks now that Saudi Arabia differs so much from what it was a decade ago? A. The king is going to Russia and I think there is much that can be negotiated with Mr. Putin and other leaders of the Russian Federation. It is not only the Kingdom that is changing but also the Russian Federation is changing, so we have much in common in trying to develop for the future. We have similar issues with energy production, for example. The oil market affects both Russia and Saudi Arabia, hence our effort to try to put stability into the oil market to bring Russia and Saudi Arabia together. We have shared interests also in the Middle East. We see Russia’s growing influence in the Syrian situation. 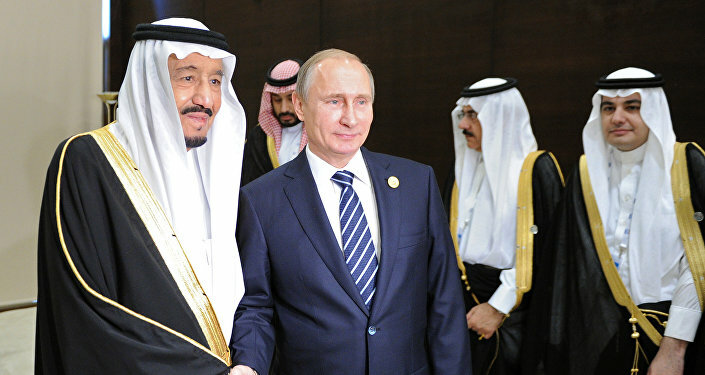 Saudi Arabia is equally interested in the Syrian situation and in bringing peace and stability to the Syrian people. And so, on that level as well, Russia and Saudi Arabia have a lot in common. If we go around a small geographic area in the Middle East, Libya, Yemen, Iraq, Iran and situation with the Kurds in northern Iraq, I think that here too the king and President Putin will find common ground to cooperate on. Q. You have been the head of the [Saudi] Intelligence Service and you have a clear picture of what has been going on since the start of the millennium. What do you think is going on in Syria? As far as I know, Saudi Arabia has now decided that Assad can stay on until the next elections and the Syrians will decide themselves. Do you think the civil war in Syria is over and the Islamic State has been defeated? A. First off, let me clarify my position on this. I am not a government official and, therefore, I’m completely unaware of the intelligence, diplomatic correspondence and official contacts between governments. I am not in the picture of intelligence and diplomatic reports and other official communications between our governments. What I know comes from newspapers and official statements made by our leaders. My personal opinion is that the world community has been criminally neglectful of the situation in Syria and has allowed the war to continue for too long. Mass killings in Syria continue to this very day despite all the efforts being made by the parties involved in the conflict. I want the international community, led by Saudi Arabia, Russia, the US, the UN, Turkey and Iran to come to the conclusion that the killings must stop. There is enough military hardware deployed in Syria to enforce the stoppage of the killings. If the Russian, Iranian, Turkish, American and other coalition forces involved in Syria agree that there should be no more killings, we will have a cease-fire not just in the areas where there are some efforts to bring about a cease-fire, but all over Syria, and that any party that opposes this cease-fire will be punished. The world can do this, but, unfortunately, it hasn’t done so yet. I think that regardless of the good intentions that we and you may have towards having peace in Syria, without an enforceable cease-fire all talks are doomed to fail. Since Russia began its involvement in Syria two years ago, many cease-fires we agreed to failed to hold because there has been no mechanism to enforce them. During their talks in Astana, Russia, Turkey and Iran agreed to set up small enclaves in Syria. We also hear about the US, Russian and Jordanian effort to establish them in southern Syria. But there is no mechanism to enforce it. When we have a total cease-fire in Syria, then the talks may continue and the Syrian people will be able to decide. I would like to correct the impression from what you said about the Saudi position though. Saudi Arabia has never said that Assad should remain the Syrian president. What we say is that it should be up to the Syrian people to decide and that we need a mechanism to help them do this. However, the talks in Geneva and in Astana haven’t yet established such a mechanism, and until we have such a mechanism we’ll keep saying that Bashar Assad is not a legitimate president. He does not represent the Syrian people. What he does is killing the Syrian people. Q. Looking at the Middle East from Russia it seems like different global players are pursuing their own interests there and that the Syrian voice is not being heard. What do you think about this? A. I agree, that’s why I say that all the countries involved in Syria should agree to come to a total cease-fire over all of Syria and enforce it with the available military hardware that is deployed in Syria. Q. Are they interested in this? A. I hope so! Because Russia, the US, Europe, Turkey and Iran are all saying that they want the best for the Syrian people, they should show that the first step is to stop the killings. Q. Everyone is talking about the Islamic State and its defeat… Why do you think the degree of radicalization is so high that even we need to discuss with Saudi Arabia how best to jointly fight terrorism. Could you explain what is going on? A. I don’t call them Islamic State. I use the Arabic world Fahesh, which rhymes with Daesh. In Arabic, Fahesh means “obscene” because they truly are obscene. First, they are an aberration of what is considered to be Islamic or a state. My second point is that Fahesh, al-Qaeda and the other terrorist groups are just symptoms of a disease, not the disease itself. The disease is in Damascus, Baghdad, Sana’a – the capitals of these nation-states that have become failing states, allowing these terrorist groups to take advantage of these failing states and establish themselves. Remember where Fahesh started. It started in US-occupied Iraq. From there it moved to Syria where the state began to fail when the Assad government started persecuting the Syrian people. This is when Fahesh found room to establish itself in Raqqa and elsewhere in Syria. If we start curing the disease in Sana’a, Damascus and Baghdad, we’ll be able to deal with symptoms like al-Qaeda and Fahesh, that’s why I hope that if there is any intention on the part of the world community to end the killings in Syria, we can allow the Syrian people to elect a legitimate government that would be able to deal with deviations like al-Qaeda and Fahesh. Q. What we see happening in Europe is that Fahesh and Daesh are not coming there from Syria, they appear from within. People become terrorists. I know that you came to Russia in 2002, during the war in Chechnya and said that Russian sovereignty is unchallengeable. Q. No one should be allowed to be a threat to the state and you said that the terrorists must be flushed out. Now all Europe is at risk. How to stop this? This is a hopeless situation. A. I think that it is the responsibility of the European countries to look inside themselves and see why these youngsters who were born and raised in Europe and went to school there become involved in the criminal activity of Fahesh, al-Qaeda, etc. This requires a collective effort, not just one country going at alone. I think that one of the major faults of not only Europe, but of the world community in general, is the lack of adequate exchanges of intelligence on this problem. Since 2005, Saudi Arabia has been proposing to set up an international antiterrorism center that would collect intelligence, provide training and economic assistance to countries, African, Asian, Latin American, whatever, which suffer from terrorism, but have no money to fight it. The UN, with Saudi help, finally set up such a center in 2013, but it is still not operating. How can we fight this disease of terrorism if Russia, Saudi Arabia and the US are working separately and are not sharing intelligence, while the terrorists always communicate with each other? Those who organized the attacks on Paris, Nice, Brussels, London, etc., always share information, but governments don’t! Last February I was at the international security conference in Munich where the German interior minister admitted that the European countries were not doing enough to share information on terrorism. Just imagine Germany, which is now the heart of Europe, saying they are not cooperating with their sister European states! This is a major deficiency; it must be overcome. I believe that one of the subjects the king is going to discuss with President Putin will be how to improve such information exchanges and force this UN antiterrorism center to finally start doing its job. Q. You have been fighting terrorism from the very start, but you started with the mujahidin. You were even called the man who agreed with Osama bin Laden that he refrained from attacking Saudi Arabia and left the country. Am I right? Q. Everyone thinks that you are the one who ordered Osama bin Laden out of Saudi Arabia. A. Not true. I will tell the story of Osama bin Laden. When our Kingdom started helping the Afghan people when the Soviet Union invaded Afghanistan, the local mujahidin told me, the Pakistanis, Americans, everybody else, that they didn’t need volunteers, that they had enough Afghan people to wage the war. All they asked for was money and arms, but people like Osama, then a young idealistic individual who wanted to help the Afghans, started pouring money, clothing, medicines, mobile hospitals, etc., into the refugee camps in Pakistan, Quetta or Peshawar, but were not allowed by the mujahidin to go on and fight the Soviets. In an interview with a magazine published by a pro-mujahidin group, Osama described the first military battle he said he had participated in while in Afghanistan, in a small town near Jalalabad close to the border with Pakistan. He said that he was there to bring support to the mujahidin who were being attacked by Soviet forces, aircraft, tanks, etc. He said that the bombings were so intense that he fainted. When he woke up he saw that the Soviet tanks had been destroyed and the airstrikes were over. He said that angels had come down and defeated the Soviet forces. Even his description of his first battle in Afghanistan, he was asleep (laughs)! Just a folkloric story that gave him the aura of a fighter. He had nothing to do with the campaign, other than bringing money, medical equipment, construction materials because he was the owner of a building company. He was never in the payroll of the Saudi government because we were careful not to give the USSR any reason to accuse us that we were helping the mujahidin in Afghanistan. Therefore, Osama bin Laden has never been a fighter and Saudi Arabia never sent him to Afghanistan. Q. I know that he was just a propagandist. Q. However, many people believe that Islamist fighters and Islam are one and the same thing. This is not so. How can we stop this? For us it all started with Osama bin Laden, the terrorist attacks, from Bosnia, the Philippines, Sudan – everything that has happened after the 9/11 attacks. And there is this radicalization going on in Europe. You are the man who witnessed this from the very start. Do you have a recipe how to stop this? A. I wish I knew the recipe because I would be more than willing to give it, but let me ask you this: Who is the main victim of these terrorist attacks? It is Muslims, so calling these [terrorist] groups Islamic is not fair. Q. Putin says that terrorism has neither religion nor nationality. A. Putin is right. I believe that we should deny them the opportunity to call themselves Muslims. That’s why I call them Fahesh, not Daesh. This is obscene. They are not a state and they are not Islamic. The media plays a big role here, in Russia, in our part of the globe, in Europe and in America. When I was an ambassador in London I talked with British officials about certain mosque imams in London. They voiced very extremist ideas about Islam and tried to identify it as a very radical, terrorist and bloody religion. I warned them against letting such voices be heard in London only to be told about free speech. That has been a basic element in allowing these people to appear in the media as being representatives of Islam. And the media everywhere love the sensationalist pictures of these people saying hateful things and looking themselves very hateful. This is something that must be looked at by the European and American governments who have become victims of people who have been born and raised in their societies, but have turned to extremism because of the preaching of mosque imams allowed to spout their hateful interpretation of Islam as a result of free speech. These pretenders should be denied the opportunity to have a platform in the media. Another aspect is more integration of these communities in European and Western societies. They face hatred, bigotry and persecution; they find no jobs and turn to crime. Most of these people who committed these acts in Europe originally were criminals. That’s another aspect that should be looked at by European and Western societies themselves. When I visited Russia during the Beslan crisis I said that Russia is a unique weave of difference sects and ethnicities that make up the society in Russia. That carpet is an example for the rest of the world on how to bring together different ethnicities and sects into a vibrant social unit. The West must emulate this very unique structure of Russian society and not allow bigotry and sectarian and ethnic divisions like what we see in Europe. You see in the recent elections in Germany the rise of a very anti-Islamic and anti-foreign party represented for the first time in parliament. This is a big danger. Q. I was in Beslan at the time. It was terrible. I remember that tragedy. Is this the kind of radicalization you expected? In Russia, each time someone says things that are filled with hate, he says he is from the Middle East. Did you meet such people during your stint in intelligence services? Did you expect they would spread out everywhere? Did you try to stop them? I was in Qatar, Saudi Arabia and Jordan studying genuine Islam. What was the choices you faced as the head of the intelligence service? A. We were the first victims of these groups. Their radicalization did not happen in Saudi Arabia, Qatar or Kuwait. It happened after the withdrawal of Soviet troops from Afghanistan, when Afghanistan became a country with a civil war, even before the Taliban. These groups established themselves in Afghanistan while there was still a civil war going there between Ahmad Shah Massoud, Hekmatyar and the other groups that were fighting there. The Taliban gave refuge to Osama bin Laden and I tried to take him out to try him because he had committed terrorist attacks in Saudi Arabia. The Taliban refused to extradite him. First, they said, “OK, we’ll discuss it.” Then came the embassy bombings in Dar es Salaam and Nairobi, and President Clinton sent Tomahawk missiles against presumed training camps of Osama bin Laden in Kandahar and elsewhere in Afghanistan. When I came to take Osama away, the Taliban’s leader, Mullah Omar, said he would not let him go. I warned him that he was going to bring harm not only to the people of Afghanistan, but himself as well. That ended our relationship with the Taliban. It was in 1998. Q. If you had seized Osama bin Laden this would have prevented lots of suffering and would have changed the history of our planet. A. We can all live and say “if,” but this didn’t happen. Q. They didn’t let you do it. A. They didn’t. So, as I said, Muslims were the first victims of these people. The radicalization was happening in Afghanistan and Bosnia and now it is happening in places like Mali in Africa where the state is not functioning. Q. As far as I remember, there were disturbances also in Saudi Arabia. A. Like I said, we were the frontline in the fight against this group, not just in terms of military engagement, but also in terms of intellectual opposition. I hope you will have time to visit the rehabilitation center set up by our Interior Ministry for radicalized persons. Some of them are brought there by their families who fear they could turn to radicalism. First of all, these people are examined by psychologists and then they sit with religious scholars who challenge their religious views. Then they are allowed to leave the center to develop businesses or other interests under the responsibility of their families. Please visit it and see for yourself. This is how we are treating the radicalization happening here in Saudi Arabia, because we believe that this is not just a matter of police action against them, but you have to affect their brains and challenge their ideology. This is a struggle not just for us — it is for everybody. People are now coming from the Russian Federation. Whole families are being drawn to Fahesh and others. You need to start to deal with it in Russia. They will not stay there forever. One day they are going to go back and when they do they will bring back their ideology. 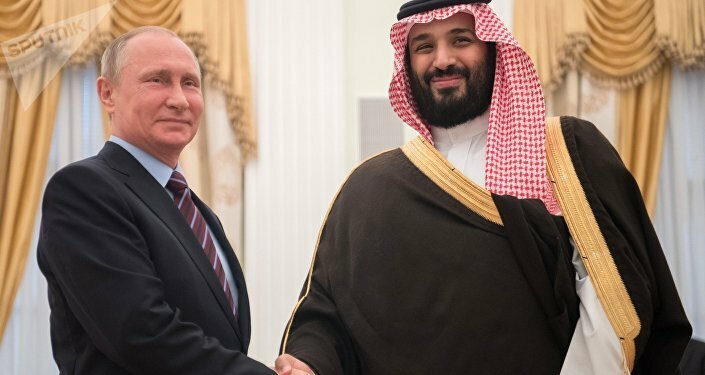 From now on, Saudi Arabia and Russia can cooperate in sharing the experience that we have had with Saudis who have been radicalized and have gone to Syria and other places and come back. So there is another point that can be of common interest to Russia and Saudi Arabia. Q. I have several questions about international affairs, if you don’t mind. I’ve read much about Osama bin Laden, Blackwater, the Iraqi war, etc., how al-Qaeda and Daesh came about. It all looks to me as a big game by the Americans, who supported al-Qaeda in Afghanistan and then destroyed Iraq where Daesh actually emerged. A. I don’t believe that America either established al-Qaeda or supported al-Qaeda. Al-Qaeda is the enemy of humanity. It targets America, Russia, Saudi Arabia, all established nations. I don’t think that any one country is responsible for this. However, a country’s actions can have their consequences. When the mujahidin succeeded in driving the USSR out of Afghanistan, the rest of the world turned its back on Afghanistan. They left it with these groups who were being radicalized by theologians from Saudi Arabia, other Muslim countries and also by those who lived in London and Paris. They delivered their extremist speeches under the protection provided them by the authorities and the guise of speech. The radicalization was coming from all these sources. Neglected in Afghanistan, these groups became radicalized even more, but no one paid attention. When the Bosnia situation began, they found an immediate venue for their activity. Then Chechnya was at the time also very high on the agenda of these groups. They went to Chechnya and so on. Of course, after the Americans destroyed the Iraqi government structure and especially the Iraqi Army and security forces, this left an open field for these groups to collect there. Abu Musab al-Zarkawi, who was the first to establish the first so-called Islamic State in Iraq, came from Afghanistan and Chechnya. Q. Did you realize that when you were the head of the Saudi intelligence service? A. It was just beginning when I was in intelligence and before I retired in 2001, prior to the September 11 attacks on New York. Q. Did you anticipate the New York attacks? A. I wish I did, but no one expected that, despite intelligence reports we were exchanging with the Americans, Europeans, our Arab friends and even Russia. No one anticipated that. Q. The Americans say they had information, but had no time to analyze it. A. I think that if they had had some confirmed information, action would have been taken. Q. Did they get mad at you after it happened? A. Because 15 of the 19 perpetrators of the 9/11 attacks were Saudis, they had every reason to ask questions. Still, all their investigations proved that Saudi Arabia had nothing to do with that. Q. Why do they say then that they have some top-secret report, which proves that the Saudi leaders knew? A. This is more media than official. Q. Could you clarify this? They keep telling us that the Americans do not publish that report because it would mean a death sentence to Saudi Arabia. A. These 28 pages of the US commission investigating the 9/11 attacks were published in the United States last July. They show that there is nothing for the Saudi government at all. There were initial investigative reports about the movements of some of these 15 Saudi nationals. A further investigation regarding this report completely cleared us of any responsibility. We were the first fighters against al-Qaeda and we have been proposing that the world community must have a collective effort, not just police-wise, to fight extremists and the center we have established here for rehabilitating those who have been radicalized is unique as it is working with those who have been radicalized, engages in psychological profiling [of Muslim radicals], challenges their ideology and makes their families responsible for them. Q. With this and next week’s referendums in Kurdistan, the Americans now say “Let's divide Kurdistan in four parts.” Everyone was in shock, but the Kurds were happy. Now the Kurds are voting for their independence. What does this mean to you? On the one hand, the Kurds are a big nation. On the other, this is an unprecedented development. A. I think whatever happens there is going to lead to difficulties. It is not going to resolve issues because the countries around Iraq — Turkey, Syria or Iran — will not allow for an independent Kurdish state to be successfully established in the north of Iraq. Even the Baghdad government has already declared it is not going to accept this independence issue. So there will be a conflict. I hoped that the Kurdish leadership would realize that their call for independence will not bring them a peaceful transition from being Iraqi, Iranian, Turkish or Syrian. Unfortunately, because of the confused state of developments in Iraq, Iran, Syria, the Kurdish leaders, above all Mr. Barzani himself, could not resist the attraction of calling for this referendum. He put the credit, or the blame, if you like, on the people of Kurdistan. The consequences of this for the Kurdish nation could be very negative. He will not be affected by these consequences, but the Kurdish people will. I think it was wrong for Mr. Barzani to allow this to happen, but I also believe that the government in Bagdad deserves some of the blame for that because the constitution they put in place after the American invasion allows communities in Iraq to call for referenda on whether they are Iraqis or not. This is a combination of mistakes made by Baghdad and Erbil. My limited knowledge of the ethnic composition of the Kurdish people is that there are more Kurds now living in Baghdad than in the whole of Kurdistan. If so, what is going to happen to the hundreds of thousands of Kurds living in Baghdad and the other so-called Iraqi cities? Will they remain in Iraq? Will they be kicked out or will they become a persecuted minority because of Barzani’s calls for independence? You have already seen statements to this effect coming out of Ankara and Tehran (laughs). Very warlike statements indeed and they are not going to solve anything. Unfortunately, Mr. Barzani let this issue become the source of highly negative vibrations in Baghdad, Damascus, Ankara and Tehran. Q. The Middle East is burning cattle. After the 9/11 attacks Saudi Arabia was named a sponsor of terrorism. Now the Saudis call Qatar a sponsor of terrorism. Trump calls Iran a sponsor of terrorism. Why? What is going on between Qatar and Saudi Arabia? How to resolve this problem between these two friendly nations? A. This situation is nothing new. It has been going on since 1995-1996 when the father of Qatar’s ruling Emir, Sheikh Hamad bin Khalifa Al Thani, succeeded his father in a coup. His father went on a trip abroad and Hamad took power and became Emir. He began an effort to develop a network of support for him among the extremist groups in the area, one of them being al-Qaeda. In 1996, Osama bin Laden was in Sudan and then Sudan asked him to leave. He left and before arriving in Afghanistan he stopped over in Qatar. Intelligence subsequently confirmed that the Qataris gave him money and promised to continue supporting him. Then he went to Afghanistan and the rest is history. In Syria, the main supporter for al-Qaida was Qatar. In 2012 Saudi Arabia, Bahrain and the UAE told Qatar that if its effort in the media and in supporting these terrorists groups, especially in Bahrain, continued they would draw their ambassadors. And draw they did. The Emir of Kuwait then intervened and in 2013 managed to organize a meeting between Qatar’s current Emir Tamim and the late King Abdullah to deal with the problem. When Tamim told the king he would do what he was asked to, King Abdullah said that he was not going to accept that and wanted it all on paper. He instructed the late Prince [Saud ibn Faisal ibn Abdulaziz Al Saud] to go to the next room with the Qatari foreign minister and they signed an agreement between Qatar and Saudi Arabia and with the other countries too. According to the accord, Qatar agreed to end its support for these groups and halt Al Jazeera’s propaganda campaign against the [signatory] countries. This agreement was published recently. Having agreed to sign this document Emir Tamin admitted that it was exactly what Qatar was doing. However, Qatar continued giving support to the opposition in Bahrain, it continued giving money to the Saudi opposition in London, the Saad Al Fakih and other such groups. The UAE arrested members of one such group and proved that they had been getting money from Qatar. I forgot to mention Egypt. So all these four countries broke off ties with Qatar, which they said had failed to honor the terms of the 2014 agreement. And that is the reason for this issue with Qatar. I think it will not be resolved until Qatar agrees to implement the agreement because Emir Tamim put his name to it. Q. Is there any connection between liquefied gas and the Americans’ visit? A. Absolutely. I’m sure that you watch Al Jazeera and have seen the interviews they have had with people from Saudi Arabia, the UAE, Bahrain, Egypt and other places. Mainly in Turkish and they keep making these negative materials about Saudi Arabia. Someone must have started all this because there were no such interview before. They appeared only recently. Q. Yes, stories about the princes who disappeared. Have you heard this? Q. Four princes, including Turku Al Bandar, disappeared in Europe because the Saudis abducted them by the Saudis. A. These so-called princes – Interpol had issued warrants to arrest them. We don’t like to publicize these things because we consider them our domestic affair. Of course, there were people who worked to bring them back. They are here; they didn’t disappear. They are seeing their families. A. Right, and like any other criminals, they have their rights and responsibilities. The media are making up things. Q. And you have debunked all these myths, by the way. Q. 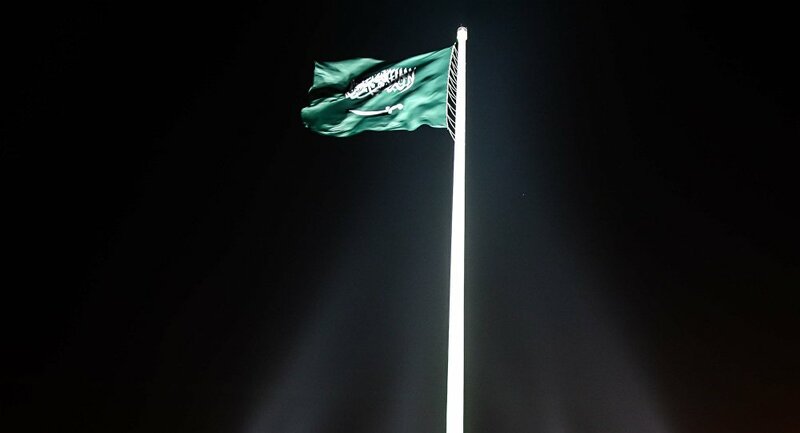 There are many rumors circulating about Saudi Arabia’s reputation. Q. Why don’t we debunk all this fake news? I hate it. Something needs to be done about this. You try to get something across to the people, but no one is listening because you are “fake news.” That’s why I’m asking questions about Saudi Arabia in such great detail because this is so interesting. Could you clarify Saudi Arabia’s position on Yemen? A. Yes, indeed. In 2015, just a year after the Houthis took power in Sana’a and sent the president and the prime minister to jail, the UN Security Council issued a resolution urging the Houthis to release the prisoners, surrender the arms they had stolen from state armories and end their military campaign against the legitimate government. This resolution also emphasized that President Hadi is the legitimate leader of Yemen. Saudi Arabia and its coalition partners support the legitimate government and [condemn] the military coup. We base our support on Resolution 2216 by the UN Security Council. The UN appointed a mediator to bring an end to the fighting. Two previous mediators failed and [the current one], Mr. Sheikh, is trying to negotiate a cease-fire. There have been five such cease-fire regimes previously introduced there, but, like in the case of Syria, there is no mechanism to make this regime happening unless it is established by the UN. Mr. Sheikh is now working to achieve more than just a cease-fire, but the UN Security Council has determined that the former President Ali Abdullah Saleh is culpable of wrongdoing and sanctioned him. When you are sanctioned by the UN, your financial activities worldwide are frozen. Saleh found himself in a situation where he is completely ostracized by the world community. The Houthis have also been identified as being the perpetrator of this action against the legitimate government. Q. But they do not stop. A. No. That’s the problem. And they are not afraid either. Q. They are not afraid and they are being helped. A. They are being helped. By whom? By Iran and also …by Qatar! (laughs) When we talked about Qatar I didn’t mention the support they have been giving the Houthis. They also use the Hodeida port to bring military support and other means from Iran and other places. Mr. Sheikh is trying to work out a way where the port of Hodeida is under UN control to cut off these supplies to the Houthis. Over the past two weeks we’ve been hearing reports about the start of a conflict between Saleh and the Houthis. When Saleh was president 10 years ago, he had many conflicts with the Houthis. We want to end the war in Yemen, but we want it to end according to the UN Security Council resolution. We don’t want the Houthis and other militants to become a dominating force, just like Hezbollah in Lebanon. Hezbollah is also a political party and the Lebanese government will not be able to function if Hezbollah does not allow it to. The Lebanese government had no role in the recent agreement between Hezbollah and Fahesh whereby Fahesh agreed to leave the cities in northern Lebanon and go back to Syria. The Houthis want to do the same thing in Yemen. They want to be political players and, simultaneously, to maintain a military wing outside the control of the central government. Q. This situation is similar to what we have in Syria. We support Assad against groups fighting to unseat him because he is a legitimate president. You have the same situation in Yemen where the previous president toppled the legitimate president who is supported by Saudi Arabia. A. There is a difference between these two situations. The so-called legitimate government in Syria, Bashar Assad, is responsible for killing 500,000 civilians. In Sana’a, the legitimate government never used this kind of military action against its own people. In fact, it was taken over by the Houthis who are now killing innocent civilians and this is exactly the difference between Yemen and Syria. A. Not as a result of any deliberate action by the government, but because of the armed conflict started by the Houthis. The Kingdom and its coalition partners are trying to provide humanitarian support for both in the south and the north of the country. I need to go. Q. The last question: How could Saudi Arabia and Russia crush the Islamic State by acting together? A. Please, call them Fahesh (laughs). Q. How could we pull our efforts to flush out Fahesh? A. I hope we will come closer to exchanging information and learning from each other’s experience. You have your experience with terrorists and I hope that your officials have visited our rehabilitations center here in Saudi Arabia. Russia could benefit if it divorces itself from Bashar Assad who brings the worst kind of reputation to Russia because of what he did to his own people, which reflects not only with Saudi Arabia but also with 1.2 billion Muslims around the world. If Russia finds a way to help the Syrian people by establishing a cease-fire to prevent the killing and then goes directly to the Syrian people. … Forget about Assad; forget about the opposition coalition council. Go directly to the Syrian people through a UN-mandated mechanism. Go to the towns, villages, labor unions, the bureaucracy and the Syrian tribes. You can do that. A. Which villages? A limited number of villages. I want us all to go to all villages in Syria, but we can do this if we have a nationwide cease-fire and then we can allow the people to develop their own mechanism for choosing the government, the head of state, etc. Russia says we’ll have to wait for the next election. Well, but first we need to establish a cease-fire. Bashar Assad held an election two years ago and won with 99.99 percent of the vote (laughs). Just imagine someone who has killed 500,000 of his own people, driven 10 million inside Syria to be displaced and more than 6 million refugees around the world saying he is the Syrian president. This is totally unfair towards the Syrian people. Let them make the decision. Thank you very much.